In California, child custody is broken up into two components: legal custody and physical custody. Legal custody dictates which parent/guardian is responsible for the decision making of the children. In most cases, parents will have joint legal custody. In certain cases, one parent may end up with sole legal custody. Joint legal custody means that both parents shall share the right and the responsibility to make the decisions relating to the health, education, and welfare of a child. What are my rights if I have joint legal custody of our kids? Make emergency medical decisions for the children. What decisions do we have to make together when we have joint legal custody? Changing the children’s school, quitting school, or special education (for example, IEPs). Any other significant events in the children’s lives. The goal of sharing joint legal custody of the kids is so that parents will work cooperatively with the other to amicably resolve any disputes. 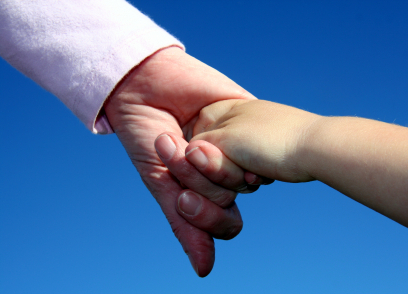 For recent articles on the benefits of sharing joint custody of your children, click here. Sole legal custody means that one parent shall have the right and the responsibility to make the decisions relating to the health, education, and welfare of a child. Physical custody refers to which the child’s residence and visitation schedule (parenting time) with each parent. There are two types of physical custody: joint physical custody and sole physical custody. What is Joint Physical Custody? Sometimes, joint physical custody is referred to as “50/50 custody” or “fifty-fifty custody”. Joint physical custody means that each of the parents shall have significant periods of physical custody. What are some examples of a Joint Physical or 50/50 Custody? The “2-2-3” or “223” or “two-two-three” schedule occurs when one parent to have custody of the children every Monday and Tuesday, the other parent has custody of the children on Wednesdays and Thursdays, and the parents alternate having the children on Friday, Saturday, and Sunday. Week 1: Parent 1 will have the kids on Mondays and Tuesdays, Parent 2 will have the kids on Wednesdays and Thursdays, and Parent 1 will have the kids on Fridays, Saturdays, and Sundays. Week 2: Parent 1 will have the kids on Mondays and Tuesdays, Parent 2 will have the kids on Wednesdays and Thursdays, and Parent 2 will have the kids on Friday, Saturday, and Sunday. Week 3: Repeat of week 1. Week 4: Repeat of week 2. Week 1: Parent 1 will have custody of the children from Sunday through the following Sunday. Week 2: Parent 2 will have custody of the children from Sunday through Sunday. You may review other examples of custody on Orange County Family Law Court Parenting Guidelines. If you have problems coming up with the best custody schedule for you and your family, you should contact your family law/divorce attorney. What is Sole Physical Custody? Some people refer to sole physical custody as primary physical custody. Sole physical custody means that a child will live with and be under the supervision of one parent, subject to the power of the court to order visitation to the other parent. The other parent’s visitation/parenting time can be determined based on an agreement of the parents or the Court can make this order. The other parent’s visitation/parenting time will depend on the specific circumstances of each case. What are some examples of Sole Physical Custody and Visitation/Parenting Time? Week 1: Parent 1 will have custody of the children on Monday, Tuesday, Wednesday, Thursday, and Friday. Parent 2 will have visitation/parenting time with the children on Saturday and Sunday. Week 2: Parent 1 will have custody of the children on Monday, Tuesday, Wednesday, Thursday, Friday, Saturday, and Sunday. Week 1: Parent 1 will have custody of the children on Monday, Tuesday, Wednesday, Thursday, and Friday. Parent 2 will have visitation/parenting time with the children on Saturday and Sunday. Parent 2 will have visitation/parent time with the children on Wednesday. Week 2: Parent 1 will have custody of the children on Monday, Tuesday, Wednesday, Thursday, Friday, Saturday, and Sunday. Parent 2 will have visitation/parent time with the children on Wednesday. For more examples of Sole Physical Custody and Visitation/Parenting Time examples, see the Orange County Family Law Court Parenting Guidelines. No matter which custody schedule you elect, don’t forget to make decisions regarding Holidays/Special Days. Some tips on making arrangements for holidays and special days can be found here and here. At Farkhad & Wang we believe, in most circumstances, the best way to determine your family’s custody/visitation schedule is for the parents to enter into a custody agreement. If parents are unable to reach an agreement – or if commencing negotiations with the other parent is not advisable – we then recommend seeking Court intervention. If you have any questions or concerns regarding the best custody and visitation/parenting schedule for your family, contact your family law/divorce attorneys. Please visit our Contact Page to schedule a consultation, or call our office at (949) 391-3118.